In the last 30 years the composition of the family in Japan has changed dramatically. In addition, the advancements in technology have expanded to the range of options available for living. Necessarily, this has resulted in changes in the construction world as well, particularly housing design. 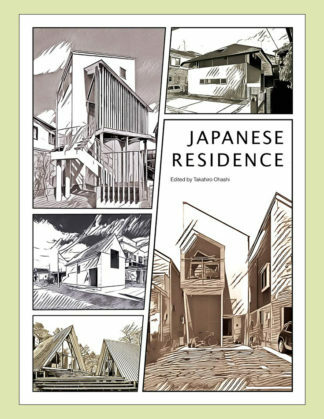 This book brings together more than 60 distinctive Japanese residential and interior designs. These case studies show how designers pay great attention to people’s daily lives, arranging the layout of small spaces to make them seem larger. Takahiro Ohashi co-established studio LOOP in 2007. The studio primarily works on architectural, product, and interior design. Their goal is to re-configure architectural thinking on how it can be used to solve different problems. In essence, the studio hopes not only create new architecture but a new ‘loop’. The studio was named a Gunma Child Consultation Center Competition Finalist in 2009 and was named in the Wan House of the Year 2011 Longlist.